Money matters: These days, it seems everybody has them. Not least of which travel therapists, who often find that saving and spending smart can be a little more difficult when you’re trying to make a life in a new place while dealing with a busy schedule. The first step to improving your budgeting is getting a sense of how and what you’re spending each month. So often people can think that they’re not dedicating that much money to their regular lattes from the local coffee shop, only to find that this spending habit adds up to nearly $100 out of their pockets each month. Considered a major player in the budget apps space, Mint makes seeing how you spend your money each month super simple. Colorful pie charts show you how much you spend on groceries, coffees, social events and work-related activities, which can help you make some surprising discoveries about where your money is going. Mvelopes slogan is “Don’t just track your spending. Fix it,” and the app lives up to its motto by pairing a spending tracker with a learning center rich with financial resources and the option to work with a personal finance trainer. Consider Albert your finance concierge, offering tips and tricks on how you can more effectively spend and save. It not only analyzes your spending with alarming accuracy but compares your current habits to what you should be doing to meet your goals. You can pay cash for a fancy new apartment, but if your credit is bad, you might get turned down. Being aware of your credit and improving it when necessary is an important part of managing your money well. 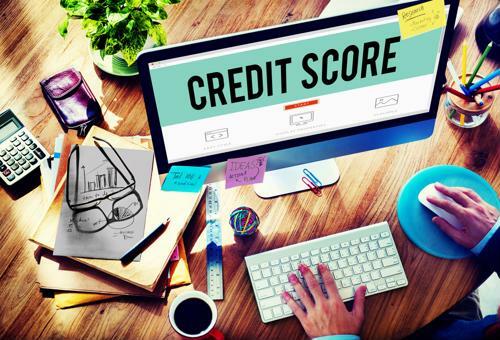 Unfortunately, however, misconceptions about credit abound – for example, many people erroneously think that it costs money to check your credit score, when it’s actually free and you can check your score as many times as you want. Credit Karma is a great site to join that’s free and breaks down your credit report in an easy-to-understand way. Once you have a clearer understanding of where your money is going each month, you can look for ways to save. Where you save depends on your budget needs and what you personally feel is most worth spending your money on. Little hacks can help you save. For example, if regular coffee runs are eating up too much of your budget, invest in a French press and make your coffee at home more often. Meal prepping is another area where you can often cut costs – scan the weekly flyers before you head to the grocery store and buy ingredients in bulk – they last longer and the price point is often lower. A little planning can help you save more, too. You can make a big batch of lunches and dinners on Sunday evening and then bring individual portions to work throughout the week to save on the costs of take-out or hitting up the drive-thru. Make a goal if you’re dreaming of a vacation, a new car or to pay off your student loans by X percent. Coming up with a goal – and writing it down – significantly increases the chance that you’ll actually achieve your objective. Create a specific timeframe for your goal, and the tangible steps that will need to be taken each month or week to stay on track. Saving money as a travel therapist can be tough, but it is possible The tips above can help you get a better handle on your budget to achieve your financial goals and reduce stress.